In the 1960’s, food manufacturers wanted consumers to buy their margarines and hydrogenated oils. To do that, they had to “discredit” the products people had always used in their homes to prepare their food. Olive oil, coconut oil, and lard were no longer “good for you,” they said. The marketing campaign for their synthetic products began and coconut oil was portrayed as an artery-clogging and cholesterol-raising substance. People were told that it contained too much saturated fat and contributed to heart attacks. Flash forward four decades later. 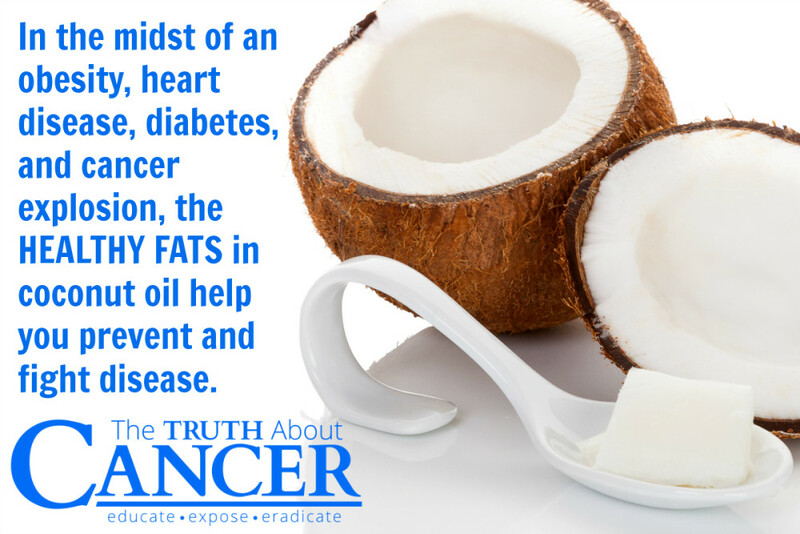 In the midst of an obesity, heart disease, diabetes, and cancer explosion, scientists discover that it is not healthy fats found in coconut oil and other natural products that are bad for you. It is the very goods the food manufacturers had been pushing on their consumers for thirty years. The trans-fats contained in these “fake foods” were incredibly dangerous to your entire body. High fat, high sugar, and high carb diets were put under the microscope and found guilty. Over-processed, pre-made synthetic foods filled with additives, preservatives, dyes, and high levels of high fructose corn syrup (HFCS) and other unnatural fillers were found to be the true culprits of the Western world’s health decline. After all these years, coconut oil is getting the positive scientific attention it deserves. There’s a reason cultures around the world have been using it for thousands of years. The benefits of coconut oil have filled entire books. There are very good reasons for that. Let’s talk a little about the history. How did the food manufacturers manage to discredit an oil used by civilizations throughout history that didn’t experience the rate of disease that we in the United States currently face? His research made it clear that natural, organic coconut oil was not the culprit. Once coconut oil is chemically altered to a hydrogenated state, it is no longer natural or organic. They are two very different products and have opposite effects on the human body. Dr. Brenna’s findings were supported by Dr. Ancel Keys. In the 1950s, Dr. Keys suspected a link between heart disease and hydrogenated oils. He began a series of studies to test his hypothesis. He investigated a Wisconsin dairy farmer whom initially had cholesterol levels that neared 1000, exceptionally higher than the United States “normal” range of 200-230. Dr. Keys put him on a diet that replaced margarine with coconut oil. His cholesterol level dropped to 300 in one week. He changed the man’s diet again, adding back the margarine that had been part of his daily food intake. Within days, his cholesterol went back up. On a side note, the topic of cholesterol and heart disease is a topic for another article altogether. Despite what you hear, the research actually indicates that cholesterol does not cause heart disease. A group of researchers published a paper in the American Journal of Clinical Nutrition in 1981 about their study of two groups of Polynesians. Both groups were instructed to consume coconut oil as their primary source of energy. The results showed positive circulatory and vascular functions in both populations. There was no indication that high saturated fat intake caused harm. The “French Paradox” – a study on low death rates related to coronary heart diseases despite increased intake of saturated fat – confirmed their findings. 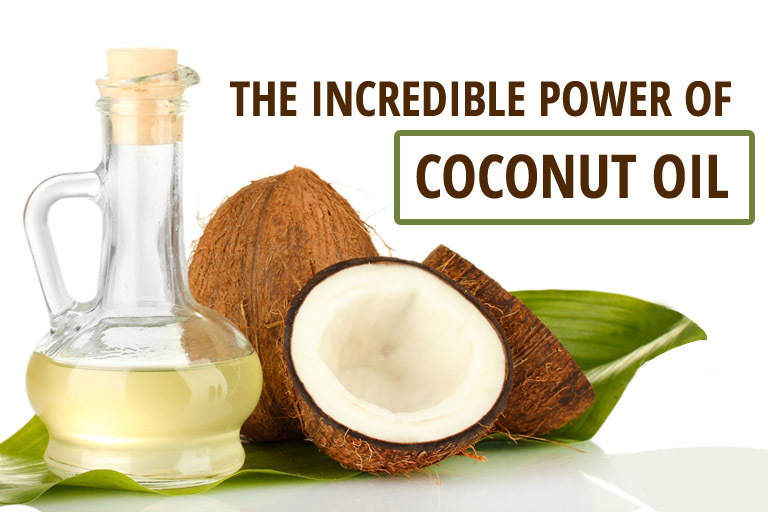 With the advancement of modern technology and breakthroughs in science, numerous studies in the past decade have proven coconut oil to be a “good” saturated fat and incredibly healthy. Pure coconut oil is rich in lauric acid, a medium-chain fatty acid that is converted to monolaurin by your body. In fact, 50% of coconut oil is lauric acid, a compound usually found in human breast milk, which makes it one of the best food sources of this nutrient available. Lauric acid is beneficial in deterring parasites, bacteria, fungi, yeasts, and viruses. Coconut oil also consists of 86.5% saturated fatty acids, 5.8% monounsaturated fatty acids, and 0% trans-fat. It is comprised of medium-chain fatty acids (MCFAs), contrary to vegetable or seed oils consisting of long-chain fatty acids (LCFAs). LCFAs are stored in the body as LDL cholesterol, contribute to hardening of the arteries, and strain the pancreas and liver. MCFAs support the immune system with its antimicrobial properties. They are easily digested and converted to energy. Studies indicate that MCFAs help increase feelings of fullness and lead to a reduction in calorie intake when compared to the same amount of calories from other fats. When MCFAs are metabolized, ketone bodies are created in the liver. Ketone bodies have been shown to have a strong appetite reducing effect. Coupled with its stimulatory effect on metabolism, it’s easy to see why coconut oil makes it easier to maintain a healthy weight. In the 1930s, Dr. Weston Price, a dentist by profession, traveled throughout the South Pacific to examine traditional diets and their effects on dental hygiene and overall health. 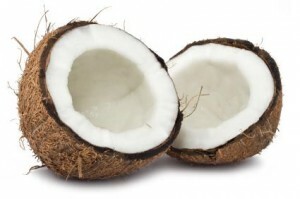 He observed that people whose diets contain high amounts of coconut products were healthy and trim. Despite their high fat intake, there was no existence of heart disease. Another study in the 1940s found that when farmers used coconut oil as a fattening substance for their livestock, the animals became leaner instead. The high levels of MCFA in coconut oil maintain the thyroid gland’s optimal control of metabolism, ultimately resulting in weight loss. In the past decades, society has been misinformed to believe that eliminating saturated fats from their diet was necessary for healthy living. We’ve been told that shunning these fats would prevent the occurrence of heart disease, diabetes, and cancer. Raw, organic, virgin coconut oil is considered a superfood because it helps increase cardiovascular function, heals damaged cells that can lead to cancer and other disease, and cleanses the body. People worldwide are now realizing the numerous coconut oil benefits. The truth is, it provides us with crucial nutrients not found anywhere else and is indeed a healthier choice for total body wellness.